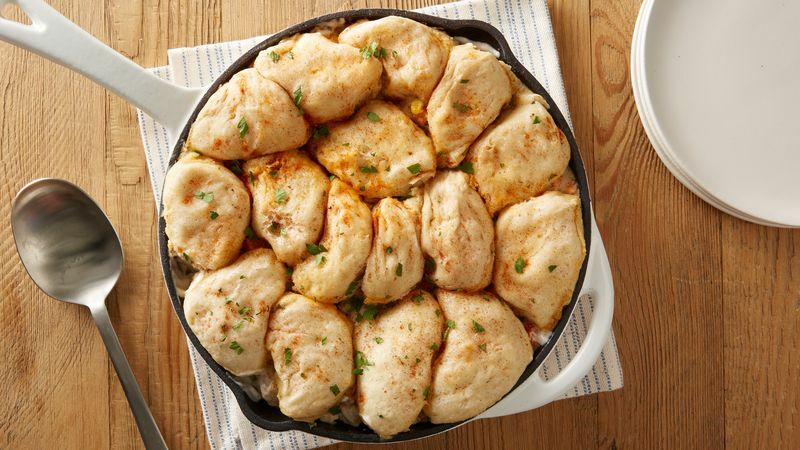 Melt margarine in large heavy skillet. Add onion; cook and stir until tender. Lightly spoon flour into measuring cup; level off. Add flour and salt to skillet; stir until smooth. Add broth, water and hot pepper sauce; cook until bubbly and thickened, stirring constantly. 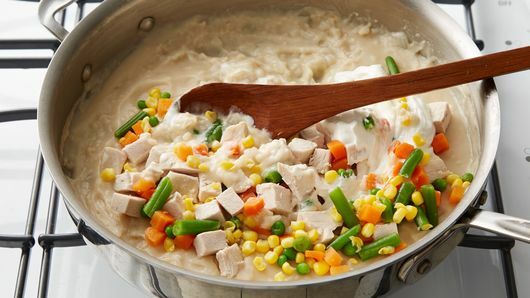 Stir in chicken, mixed vegetables and sour cream. 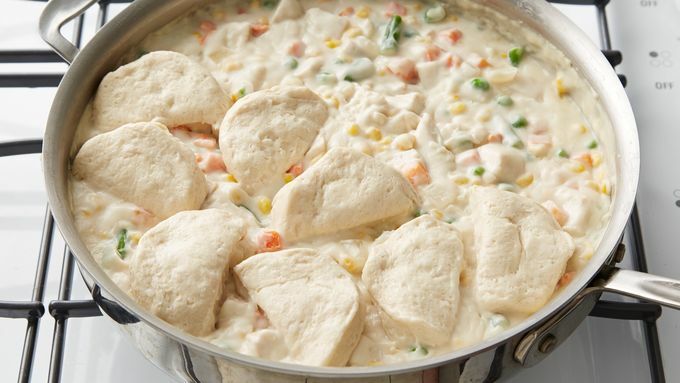 Simmer over low heat until thoroughly heated. Separate dough into 8 biscuits; cut each in half. Place biscuit halves on top of hot chicken mixture. Simmer, uncovered, 10 minutes. 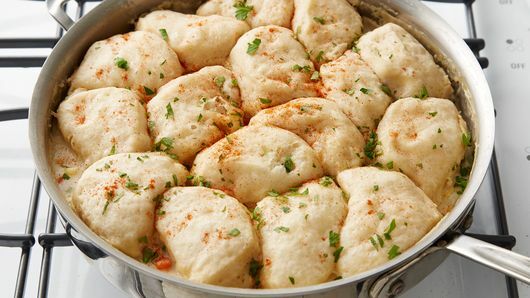 Cover; simmer an additional 15 to 20 minutes or until biscuits are no longer doughy. Sprinkle with parsley and paprika.